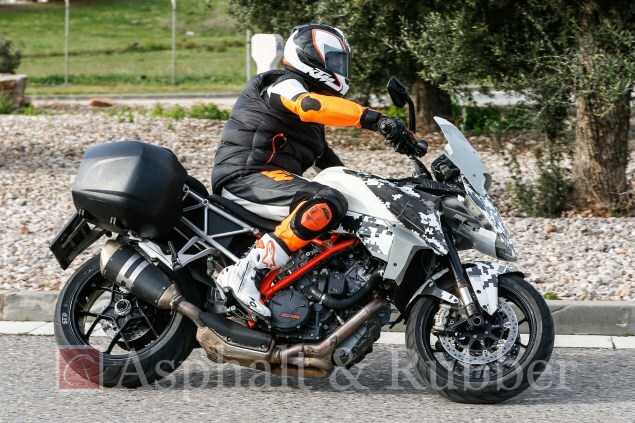 Spy photos of the new KTM 1290 Super Duke GT have emerged. 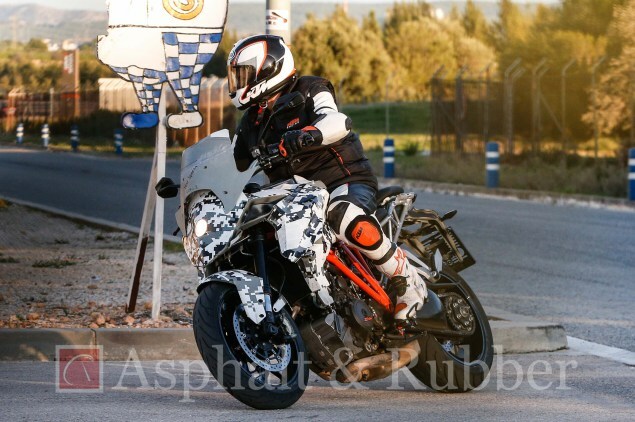 Although still essentially the same bike as the Super Duke R, the GT features some cosmetic and ergonomic changes. 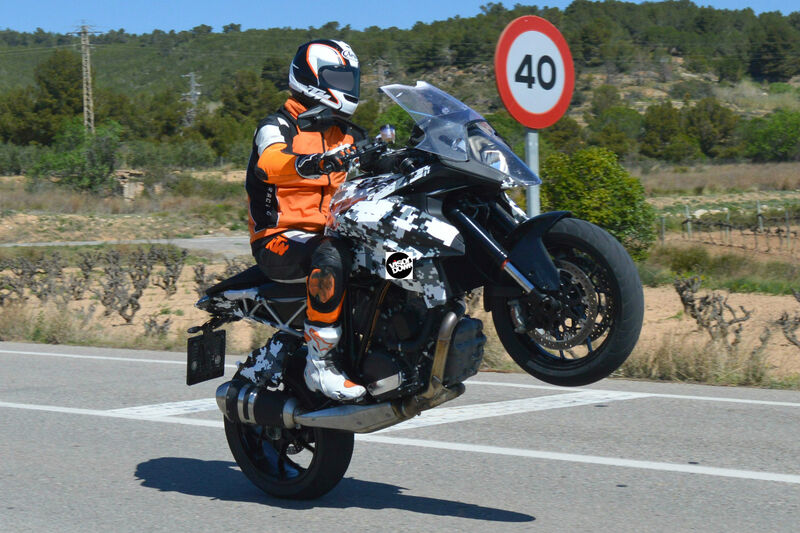 These will assist the bike in becoming a little more comfortable for long distance cruising. 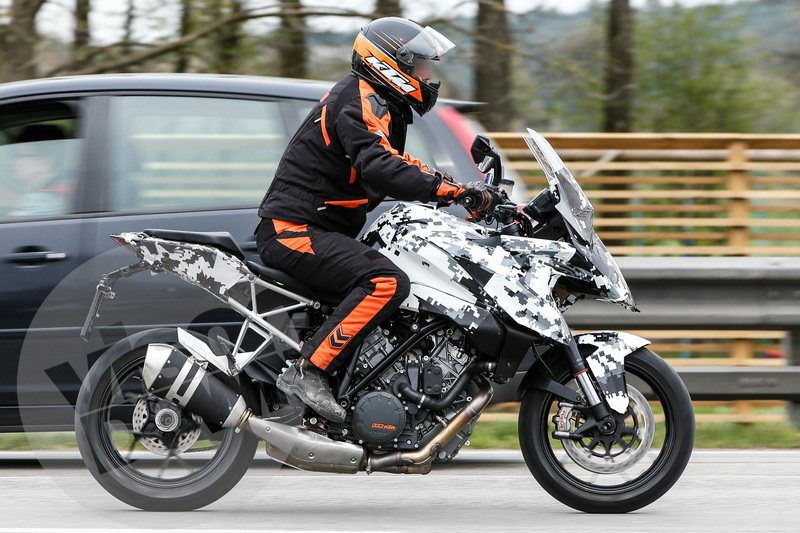 The presence of a screen and panniers can be seen in the spy photos.